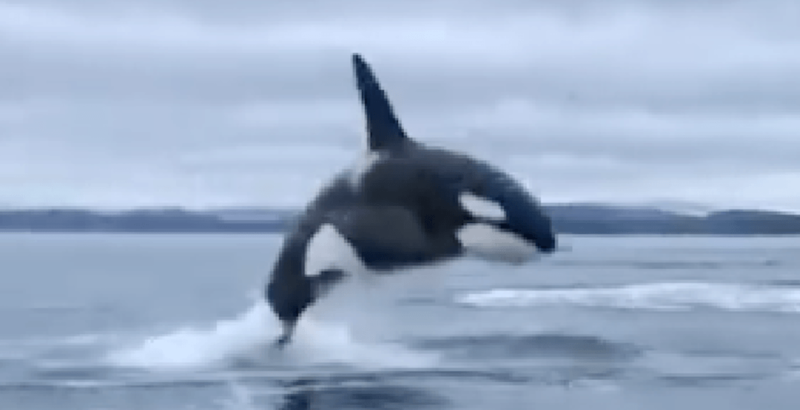 A recent close encounter with an orca whale was “like watching a boxing match, but being right in the ring,” according to the boater who filmed the event. Filmed by Bob Fraumeni and posted to Facebook by his friend Paul Keene, the video shows with perfectly clarity, a breeching orca whale. Fraumeni is clearly having a whale of a time himself watch the free show from Mother Nature. “Lord-love-a-duck – he just about jumped in the boat,” Fraumeni can be heard saying. Yeah, we definitely have to agree with Keene on this one. Thanks for the show, Mother Nature.